The urgency, and necessity, to complete dungeons is why all 10-plus of my dungeon runs in FFXIV have been beelines to boss fights. But yesterday, when I read about a hidden NPC bar fight in the Sastasha dungeon, I had to check it out. 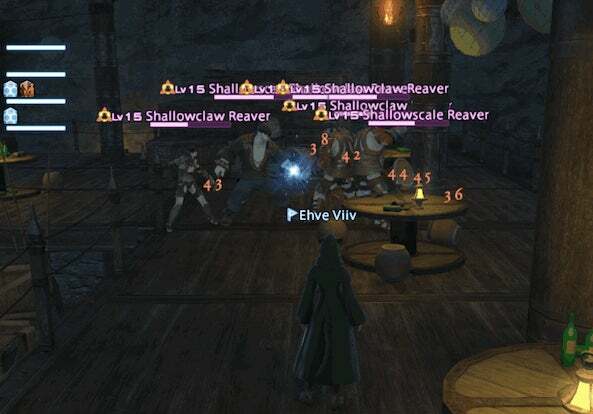 Usually, FFXIV veterans silently take the lead on "Duties", with less experienced players unquestionably following in their stead. Players complete the "Objectives", which generally involve activating and acquiring things, before killing the boss. 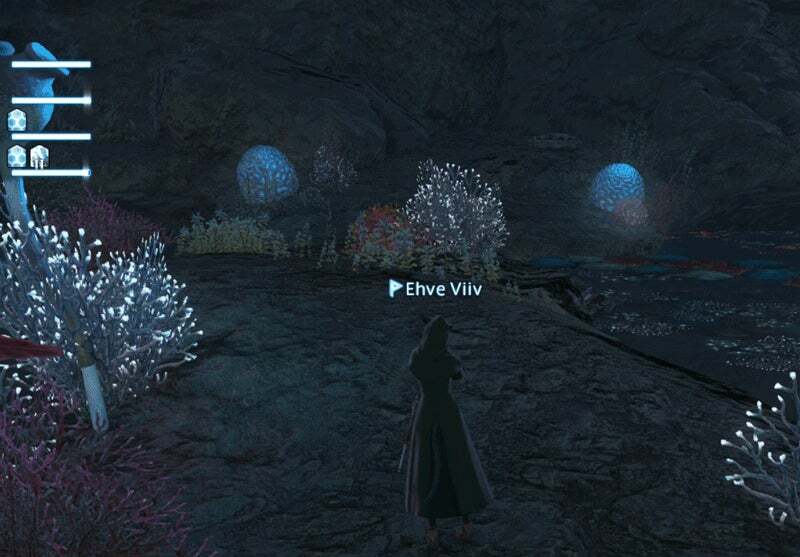 Like in other MMOs, FFXIV players must run dungeons multiple times, so many know the most direct route by heart. After hearing about the hidden bar fight in Sastasha, I registered for the "Sastasha" duty, FFXIV's first dungeon run. The story goes that The Serpent Reavers, a band of pirates, has been raiding the inhabitants of the La Noscea islands. Glowing neon fungi and shining lakes lead you to a pirate camp of shanties. Different rooms house different mobs and NPCs, some holding loot. The "Duty" allows for 90 minutes, but it's easily completed in 20. "Hey!" I said to my randomly-assigned party as we entered the dungeon. "I heard about a bar fight in the Deckhand's Quarters. Can we check it out?" OK, I thought. I'll ask again in a bit. I let the tank take the lead. We traversed the caves and encountered the first boss, a catlike coeurl. Bands of pirates attacked in waves and we quickly cut them down. Soon, we entered the shanty town housing the Deckhand's Quarters. "So, OK on the Deckhand's Quarters?" I pressed. Finally, a response: "I think we're going that way." I waited. I nuked some mobs. We pushed forward. Quickly, I realised we weren't going in that direction. Fine. Some people are busy and just want to finish the dungeon. I'll just... go check it out on my own, quickly. I entered the shack and witnessed six NPCs duking it out. The room was candlelit with a wood platform floor. A few stools were scattered on the ground, as if the NPCs were having a merry time before someone said something truly horrifying, and someone was drunk enough to ask on it. I watched, a little unimpressed, but satisfied doing something superfluous during a "Duty". It felt rebellious. "There's nothing in there," a party member said from several metres away. "There's a fun NPC bar fight," I responded. Slowly, my party entered the Deckhand's Quarters. Eyeing the brawling NPCs, they immediately pulled one over and fought it. I watched as, one by one, all the NPCs were killed. They were killable. I guess it was inevitable. "See?" the party leader said. "Just a pull and a chest." I didn't respond. 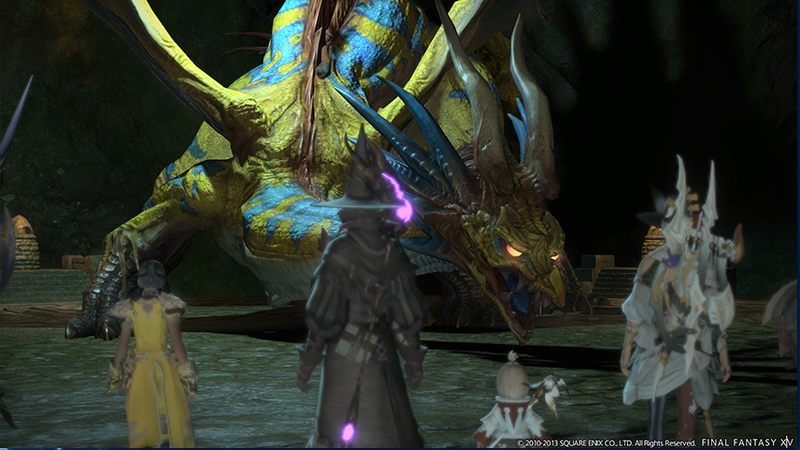 We made our way over to the boss, swiftly defeated him, and then exited. The moral of the story: Rebel. Be the person who derails your dungeon run. Just ask permission first. Huh. I never heard of that one. Gotta check it out the next time I'm running that dungeon.